Stop by Tuesday, if you'd like to see the rest of our pictures from our trip to the zoo. This post is linked to Your Sunday Best at A Rural Journal. Head over there to see some of the most amazing photos! What a life! He looks so relaxed and content. He is so cute! I love that photo. visiting via your sunday best. He knows how to take it easy! Great capture! This is too funny! He looks like he doesn't even have the strength left to climb!! Wonder if he went to sleep that way? Well, he's just as relaxed as can be. What a gig! Thanks for coming by YSB today and sharing, Lisa. Means alot to me! That critter sure knows how to relax! We should all take lessons. Now I want to be that chilled out! 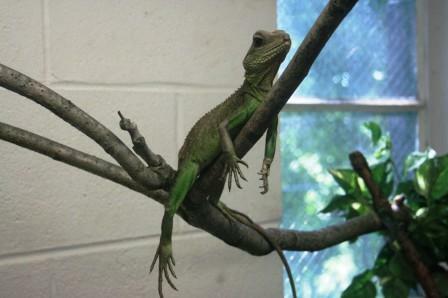 He's probably a male lizard and preparing for Father's Day - to chillax. Great photo! He looks either tuckered out or very relaxed!